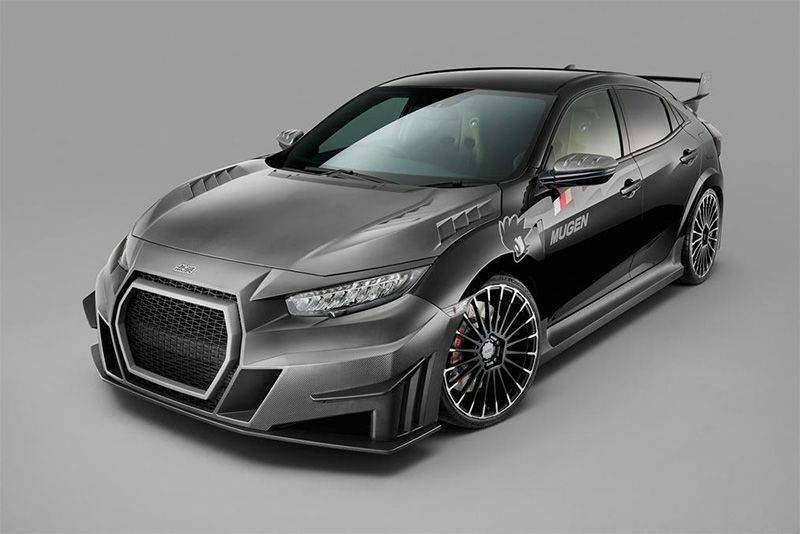 Tokyo-based, Mugen, Honda's tuning division, has released more aggressive modifications for the Honda Civic Type R.
At this year’s Tokyo Auto Salon, Mugen revealed their latest body kits for various Honda models including the Insight Hybrid, CR-V SUV and N-VAN Kei car. However, its main showcase was fitted to the latest Honda Civic Type R. Well, there are two options, but it's the one fitted to the sedan that turned the most heads. According to Mugen, the all-new Civic Type R Mugen RC20GT upgrade package, in pre-production form, is "a tuned-up, racetrack-ready take on the Mugen RC20GT Civic Type R Concept" exhibited at last year's show. Now, if you're one of those people who already think the Civic is pushing the styling boundaries then you may find these body kits outrageous, but they are designed to be functional by reducing weight and improving aerodynamics. In fact, carbon fibre has been used for the rear wing, side skirts, bumpers, dive planes, fins and diffuser. Whew. In terms of design, the front looks significantly different, with an Audiesque feel to the oversized single-frame grill and re-designed front bumper. The bonnet now sports new vents above the flared wheel arches that accommodate fresh 20” lightweight aluminium wheels. At the back, there's a single exit exhaust pipe where before there were three. It's all very... angry. It's not just about looks at Mugen, though, as the team spent quite some time adjusting the handling and performance characteristics. They've installed a new oil cooler and a high flow air intake system to improve engine cooling. The standard Brembo brakes have been upgraded, as well as the latest adjustable suspension and there's also a new steering wheel, bucket seats and four-point harnesses. Mugen wants to make the RC20GT feel like “the ultimate Type R” so, as much as this is still a pre-production model, expect the final product to look very similar to what you see in the gallery. Video: Body Kit Transforms New Citroen Jumper Into A Classic Type H Van!